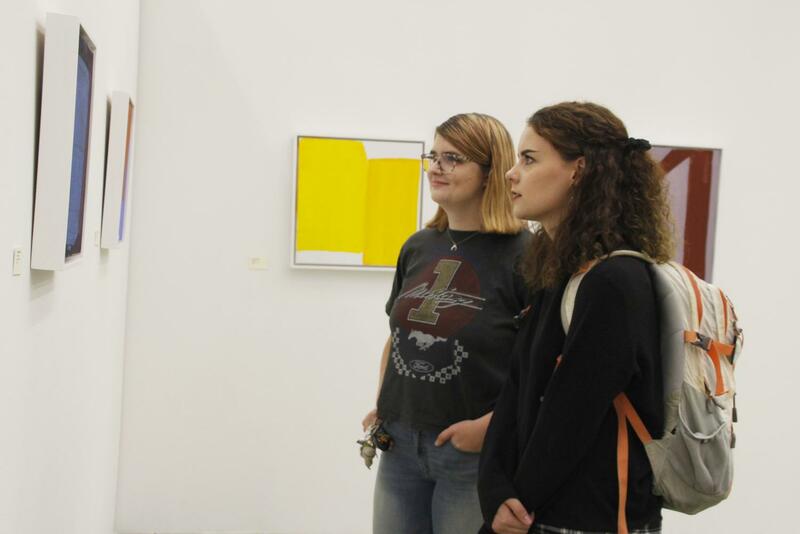 Leia O’Connell, a senior kinesiology major, and Katherine Davis, a senior sociology major, check out the abstract artwork for the Contemporary Art Gallery’s opening reception of the “Real to Not Real” exhibition. Fanfare celebrations will find a place in the Contemporary Art Gallery with an exhibition of abstract painting and a fashion show. The “Real to Not Real” exhibition showcases abstract representational painting. It will be up until Nov. 9. “Part of the strength of having a show like this is to show that painting is not a one-liner, that painting has the capacity to communicate a lot of individual concerns,” said Walton. The gallery brought in paintings from New York, Philadelphia and California among other areas. Eric Huckabee, an exhibiting artist, discussed the range of artworks found in the exhibition. Walton described his works in the exhibit as psychological. Huckabee described his painting as being more like poetry than a novel developing over time in line with a record of thinking. Huckabee enjoys the malleable nature of painting. Currently, the show will include about 10-12 pieces with the audience voting for the favorite at the end. 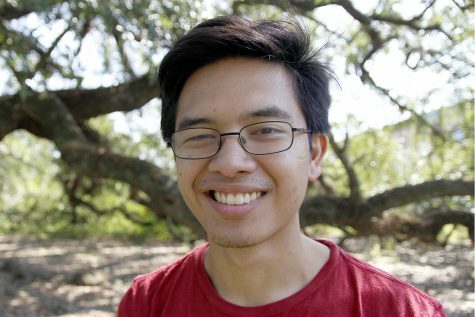 The idea for the show developed during the spring after a student expressed an interest in the show. Billington and Professor of Sculpture Jeff Mickey began working towards the show. The pieces will follow the wishes of the artist rather than any set theme. Mickey and Billington will develop their own pieces for the show. Billington discussed the development of her piece.